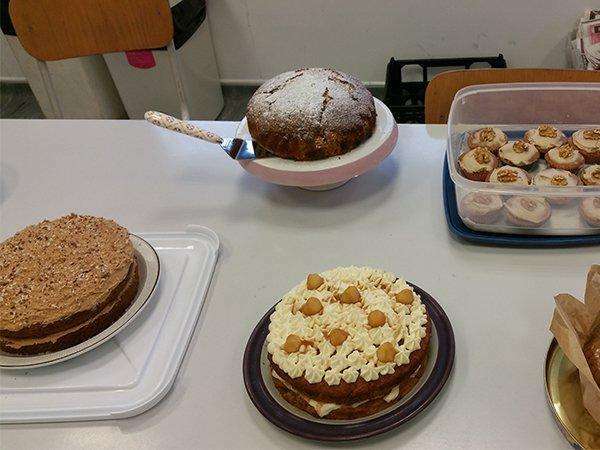 Adelphi bakers dug out their rolling pins and put on their aprons in November to raise money for charity, with our very own Adelphi Bake Off. A total of £150 was raised for Children in Need. 12 cakes were entered overall, with prizes awarded to both the best presented and best tasting cake. First prize for best presented cake went to Hannah Hogan for a beautifully decorated coffee and walnut cake, and best tasting went to Cheryl Borland for her very tasty chocolate cupcakes. A win two years in a row now for Cheryl. Well done to all bakers who took part this year.